We at Oozle Media strive to produce not only remarkable work for our clients, but also to make a real difference in the world. Oozle Media has a long history of charity work, working with our local community and organizations such as The Road Home, The Christmas Box House, Sub for Santa, and many others. This fall we were privileged to work with Vision Cambodia through one of our clients, Austin Kade Academy. Jonathan Rogers, Oozle’s account manager, and his team impressed the owners of Austin Kade so much that after only three months of work, they felt comfortable enough to refer Vision Cambodia to Oozle to see how we could help. Vision Cambodia’s mission is to work with “rural villages to provide clean water, education, and supplies to thousands…that lead to positive change and real hope in rural communities.” The heart of the Vision Cambodia operation comes from a man in Cambodia named Chantha, and his story is what inspired us and many others to get involved. Photo courtesy of Vision Cambodia. Chantha had an extremely difficult upbringing. His father disappeared during the civil war, and his mother didn’t have the means of caring for him. He was sent away to live with extended family where he became a child slave. He was put to work for almost ten years in extremely disgraceful conditions. Chantha’s worst experience came when one of the family cows slipped away from the herd. He was beaten ruthlessly with a bamboo pole and tied to a mango tree for two days where he was left to be eaten by fire ants. Chantha prayed that he would be permitted to die that day, but he had an important mission to fulfill. When Chantha turned thirteen, he was desperate to attend secondary school (the equivalent to high school in the United States), but his family wouldn’t permit him to attend. One night he snuck out of the village with only $0.10 in his pocket to find a better life for himself. He was taken in by monks at a monastery in a neighboring town where he was sheltered and given the opportunity to learn. Within six years he became an English instructor at the monastery and went on to get a college degree and became an English-speaking tour guide! The would-be founders of Vision Cambodia first encountered Chantha when they were on vacation in Cambodia. He was their tour guide and provided them the unique opportunity to see the locals as they lived in their towns and villages. The founders were surprised at the living conditions that the noble people of Cambodia endured, and wanted to know how they could help. Chantha had already been working on water well projects to help his people, but he was severely limited by available funding. Chantha claimed he could make a higher quality well at a lower cost than anyone else, so the founders put his claim to the test and commissioned a well for the town they were visiting. In less than two days, Chantha had constructed a high-quality, sustainable water well that could supply water for generations to come! Vision Cambodia was founded on this chance encounter, and Chantha has been building wells and other things for people in need ever since. Unless you’ve visited a country like Cambodia before, it can be hard to understand how important these water well projects are. Wells are difficult and expensive for locals to produce. 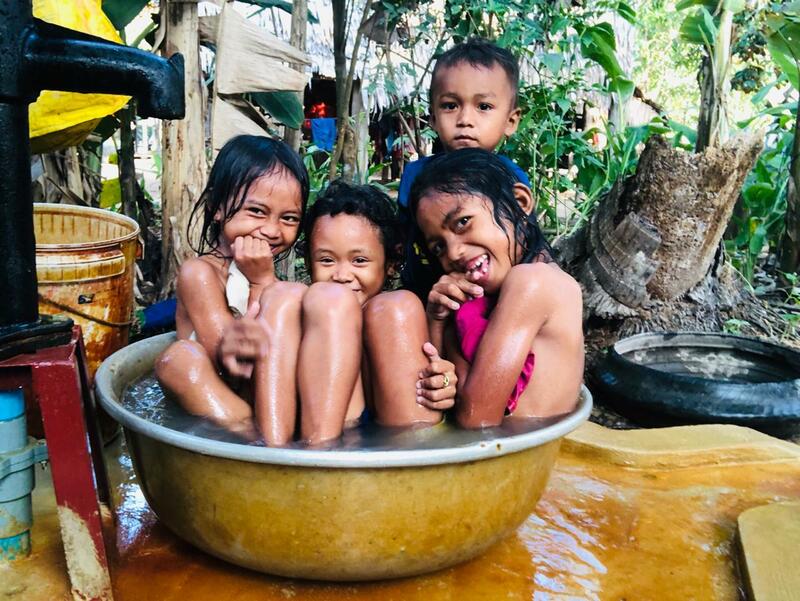 Poorer communities have to dig wells with simple hand tools, sometimes having to dig more than 20 feet into the ground before reaching the water table. In more elevated places, even deeper wells are required! Once the well has been dug, the work isn’t over. Over time, silt and dirt from the sides of the well collect at the bottom, which can obstruct water flow and make it impossible to draw water. This means that people regularly have to descend to the bottom of the well to excavate the buildup of silt and dirt to allow people to draw water again. This can be a very dangerous job, and sometimes additional digging is required to reach the water table if it recedes. Chantha’s wells are not dug by hand, they are drilled out with a large mechanized drill. This drill makes it so that the wells can be dug much deeper and in significantly less time with reduced risk. These wells are also constructed to minimize problems with silt buildup and are dug deep enough to mitigate fluctuations in the water table. 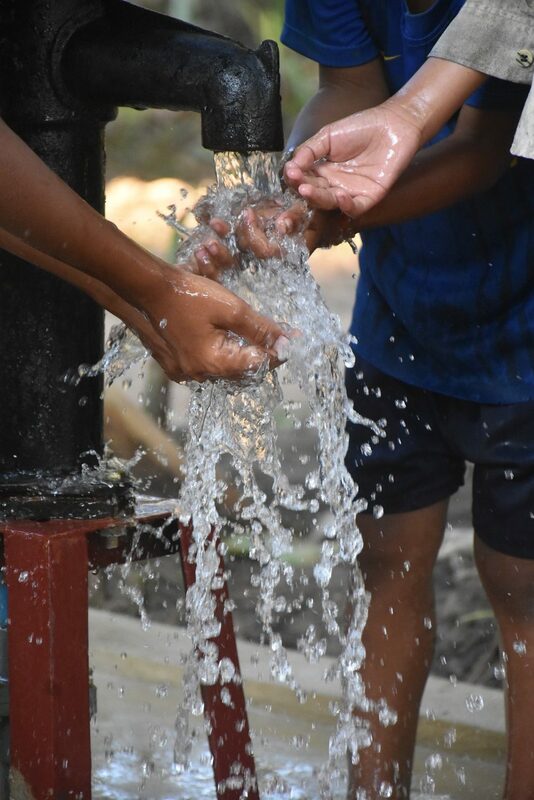 The pump system on the well itself also has a filtration system that improves the health and wellness of the people using it. These wells provide easy access to safe, sustainable water that effectively never runs out! The Vision Cambodia and Austin Kade team met with the Oozle Media team to discuss goals, strategy, and budget. 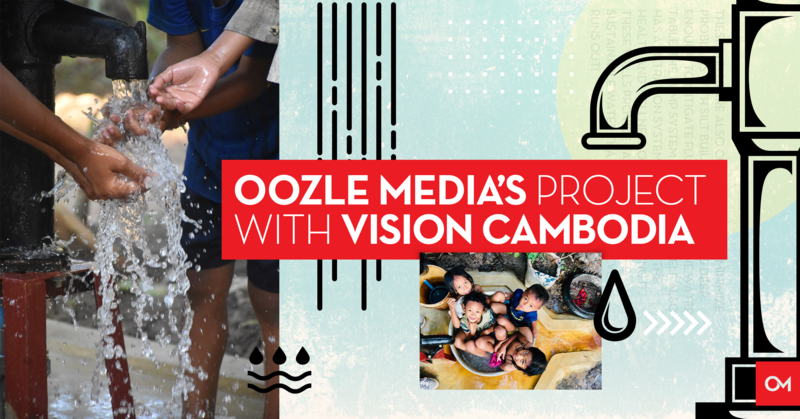 Originally, the team planned on assisting with Vision Cambodia’s website copy, but the Oozle team was so passionate about the charity they expanded the scope of the project. We met with Vision Cambodia at length and were touched by the massive impact their project can have. Chris Vaughan, Oozle Media’s content specialist who conducted our meeting with Vision Cambodia, is passionate about the Vision Cambodia mission. He spent two years in Africa and saw many humanitarian groups making a difference there. The founders of Vision Cambodia believe in what they’re doing too, which is why they pay for operations out of pocket. 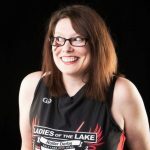 As such, the Oozle Media team had to think creatively about how to accomplish the goals of the project while working within some budget restraints. We’re pleased with the results we’ve achieved so far, and more than anything else we’re proud of the relationship we’ve built with Vision Cambodia. 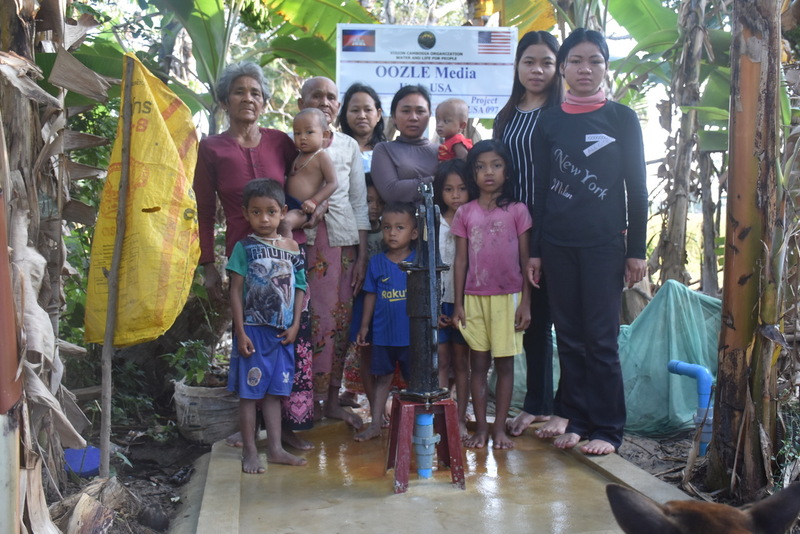 During our conversation with them the owners were generous enough to offer to build a well in Cambodia and put our name on it. The well was built in Thnot Chrom Village and they sent us tons of pictures of adorable children enjoying the clean water! We’re so grateful that they offered this project for us, and we couldn’t be more proud to be making a real difference like this! If you are interested in learning more or getting involved with the Vision Cambodia cause, view their website here.